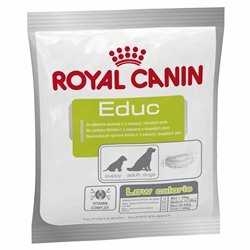 Royal Canin There is 1 product. ROYAL CANIN®’s healthy rewards are a nutritious way to reinforce your dog’s good behaviour during training. This calorie-controlled, vitamin-enriched training aid has a taste dogs love, and lets you reward incredible behaviour without compromising diet.